Prima UK - 05.2019 » Download PDF magazines - Magazines Commumity! 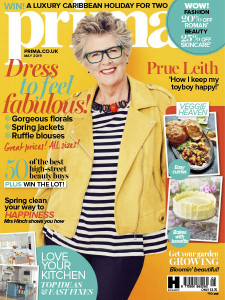 Prima addresses the emotional needs of everyday women, covering issues relevant to every life stage, through shared experiences and real life inspiration and advice. Its tone is supportive, warm, helpful and fun, with a positive approach to life and a modern point of view.